Pattaya is a popular beach resort on the Gulf of Thailand just 150 km. southeast of Bangkok - a mere two-hour drive. Pattaya’s pulsating nightlife is well known, but local authorities have, in recent years, improved the quality of the beaches and reinvented the resort as a more family-friendly destination. 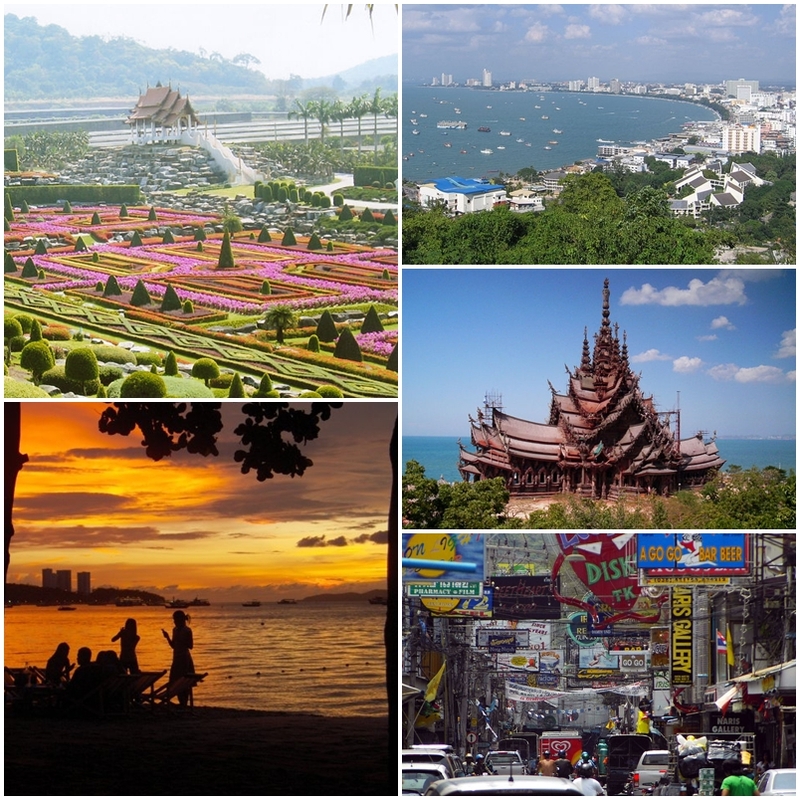 Today, hundreds of thousands of visitors are drawn each year to Pattaya to windsurf, water ski, swim, sunbathe, snorkel, sail, or take trips to nearby islands. Other activities include Bungee jumping, cycling, skydiving, go-Karting, Muay Thai (Thai boxing), and Paintball. Golfers, both novice and expert, are well catered to as well, with a wide selection of golf courses around Pattaya. Another major draw for visitors to Pattaya is the wide selection of restaurants serving some of Thailand's freshest seafood. Due to the high number of expatriate foreigners in Pattaya there is also an excellent selection of authentic foreign eateries serving French, Italian, Swiss, German, Hungarian, Scandinavian, English, Indian, Arabic, Japanese, and Chinese cuisine. Drawing such a large number of diverse visitors from across the world, it’s no surprise that Pattaya also boasts an incredible choice of accommodation. Those on a tight budget and those with money to spend are equally able to find rooms to suit their needs. Visitors can always find some peaceful beach time at nearby Jomtien beach, just 3 kilometers south.